Sony has come within a whisker of creating the perfect CSC in the shape of the A6000, with just a few niggles stopping it being very good indeed. The Sony Alpha A6000 is a compact mirrorless camera with a rich feature-set and a wide range of compatible E-Mount lenses to choose from, making it perfect for the enthusiast and professional alike. A small size, excellent viewfinder, and modern functionality and connectivity make it a deceptively powerful workhorse given its tiny size. Just how small is it? Weighing only 285g for the body, the Sony Alpha A600 will feel light in the hand and easy to wield, handy for avoiding fatigue and allowing you to work the weight of the camera with the attached lens rather than the body. The dimensions are compact without making things feel cramped, with just enough space for the attached lens and a grip on the front, and a viewfinder on the rear. How’s the viewfinder and display? The A6000 features an excellent electronic viewfinder that allows you to see the image as it will be taken and any relevant guides and information along with it. You’ll also be able to view your shots with the large 3.0-inch display that has the ability to fold out so you can take snaps from tricky angles and still view the results or adjust the shot. What kind of connectivity does it come with? The Sony Alpha A6000 features both Wi-Fi and NFC connectivity, making much more suited to the modern-day shooter who’ll quickly want to get their pics uploaded to storage or posted directly onto social media. This in combination with its compact design make it perfect for a small and mobile setup that can take some stellar shots on the move and get them up online in a flash. The Sony Alpha A6000 Digital Camera was added to the Digital Cameras category in August 2017. 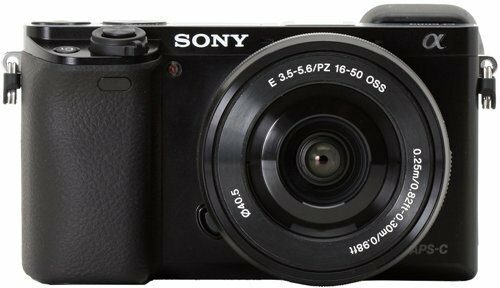 The lowest price GetPrice has found for the Sony Alpha A6000 Digital Camera in Australia is $588.00 from Etoren. Other merchants who stock it are Etoren, Amazon AU, Ryda Dot Com, Video Pro, Digital Camera Warehouse, Becextech, Camera House, Dirt Cheap Cameras, Sony Store Online.